Maharshtra Public Service Commission Recently releases MPSC Police sub Inspectors Recruitment 2014 notification for filling 260 Posts. More details regarding MPSC Recruitment 2014 is available in official website i.e www.mahaonline.gov.in site. 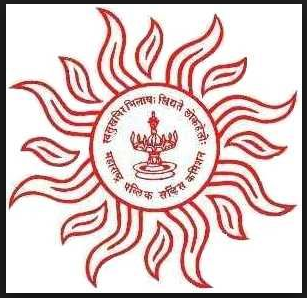 MPSC Sub Inspectors recruitment notification 2014 invites applications from the eligible job seekers for filling 260 below mentioned jobs in Maharashtra Public Service Commission. Aspirants who possess Graduation are eligible to apply for MPSC Police Sub Inspectors recruitment 2014. Applicants whose age above 19 years and below 28 years are eligible to apply for Police Sub Inspector jobs in Maharashtra. Aspirants those who are looking for latest govt jobs in Maharashtra shall read the official notification carefully. Applicants who meet all the requirements and who wishes to apply shall read the official notification carefully. Applicants who wishes to apply shall pay the below specified fee in the prescribed format. After depositing the fee applicants shall apply Online at official website i.e www.mahaonline.gov.in site before last date. more details regarding MPSC Police Sub Inspectors recruitment 2014 - 260 Posts details is mentioned below. Aspirants who possess graduation are eligible to apply for MPSC Police Sub Inspector jobs. Applicants whose age above 19 years and below 28 years are eligible to apply for Sub Inspector jobs in Maharashtra. Age relaxation rules for other categories is applicable as per the govt rules and regulations. Interested and eligible candidates who meet all the requirements and who wishes to apply shall apply Online at official website i.e www.mahaonline.gov.in site before last date. the date sheet of 10th and 12th class will be declare soon by the BSEH. students could wait for it.